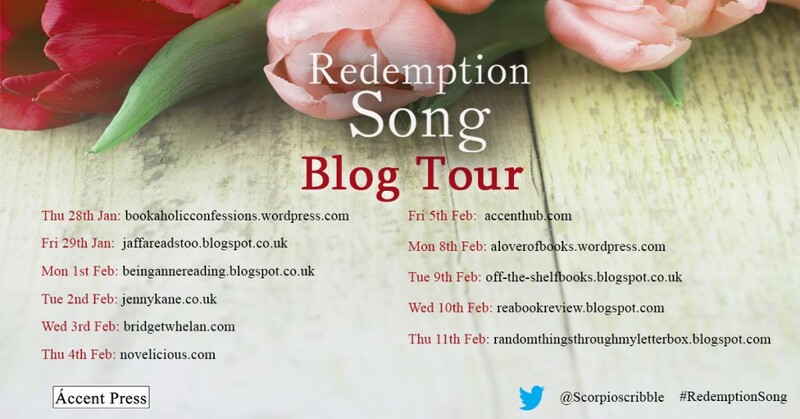 Today I am delighted to be hosting the brilliant Laura Wilkinson as part of the blog tour for her brand new novel, Redemption Song. I love all of my characters – even the baddies. They are my creations, after all. I adore the ones who won’t leave me alone no matter what; those who muscle their way into scenes and start taking over despite my best efforts to keep them in the margins; those who surprise me with their resolve; those who drive me half mad with their irrational fears and insecurities; those who make me laugh and cry. Love ‘em all or not, in common with many other authors I do have my favourites. As a mum I treat my boys equally and love them all to bits. (It’s a wonderful thing, love, isn’t it? Like the universe our capacity for it is infinite.) But I don’t have to be fair and equal with my characters and there are those whose hold on my affections is stronger than others: Elizabeth in Bloodmining; Mandy in Public Battles, Private Wars (I adore Mandy); Ethel in Public Battles, and now Joe, Saffron and Ceri from Redemption Song. Joe is my male lead and he is just the kind of man I’d fall in love with were I younger and not already married – apologies to the BigFella! Joe is a good man gone bad, a man fighting his way back to a truthful, fulfilled life. He’s resourceful and vulnerable, sensitive and creative, smart and modest, very good looking, and much, much stronger than he realises. He’s bigger and better than he thinks he is and this is, in part, what makes him so attractive. Saffron, my female lead, is also stronger than she gives herself credit for and despite her initial grumpiness she is also kind and wise and decent. Like Joe, she’s damaged, trying to carve a path to a better future. She’s gorgeous. I love Saffron but the female character I’d most like to go out with for a drink (or three, knowing her) is the woman who befriends Saffron when she first arrives in Coed Mawr: Ceri. She is characterised by Joe (before he knows her) as a Welsh Vicky Pollard, which isn’t quite right. She is feisty, and she does swear too much, but she has an enormous heart and her candour is disarming. I love her. But as I write I find myself thinking about Rain, Saffron’s mum, and Allegra (what fun to write she was!) and Eifion and Miss Shawcroft and all the wonderful things about them. Perhaps I don’t have favourites after all; I’m almost certainly still far too close to really tell. With distance I’m sure to miss some more than others. But will absence make the heart grow fonder, or will it be out of sight, out of mind? Will they stay with my readers long after the final page has been turned? Only time will tell. Until then, I’m off to get to know a bunch of newbies. Back to the Work-in-Progress. Thanks so much for having me over at your wonderful blog, Jenny. Laura has written three novels. 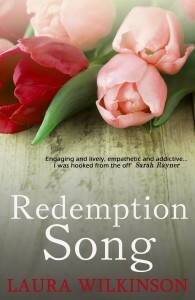 Her third, Redemption Song, is published on 28th January 2015 by Accent Press. A fourth is due in early 2017. Saffron is studying for a promising career in medicine until a horrific accident changes her life for ever. Needing to escape London, she moves to the Welsh coast to live with her mother. Saffron hates the small town existence and feels trapped until she meets Joe, another outsider. Despite initial misgivings, they grow closer to each other as they realise they have a lot in common. Like Saffron, Joe has a complicated past…one that’s creeping up on his present. Can Joe escape his demons for long enough to live a normal life – and can Saffron reveal the truth about what really happened on that fateful night? Love is the one thing they need most, but will they – can they – risk it? 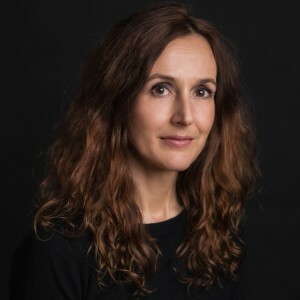 Many thanks Laura- great blog. Thank you, Grace. Hope you enjoy it. And I love the notion that our characters are like ghosts of unborn people. Beautiful.